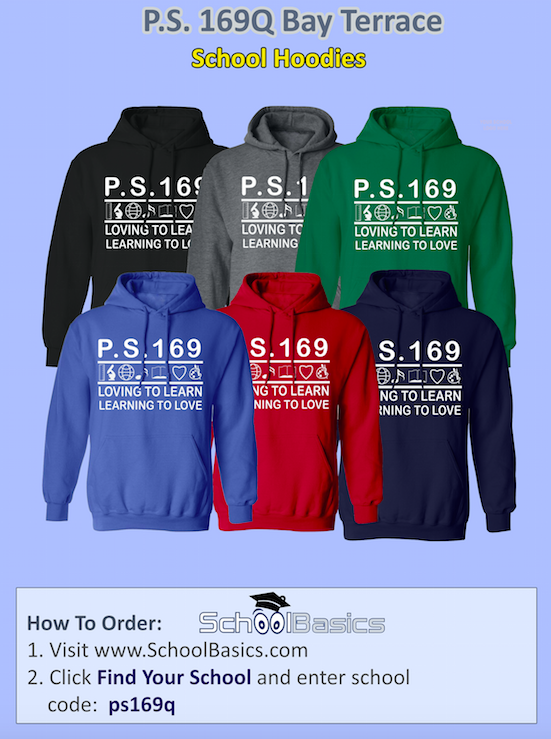 PS 169 is dedicated to creating a nurturing and intellectually enriched environment that develops each child’s unique capabilities in a home-school environment. It is our goal for all children to foster a love of learning, to stimulate critical thinking, to encourage a caring and compassionate school community, and to prepare the leaders of tomorrow. We do this by embracing cultural diversity, building understanding and tolerance of differences, fostering creativity, developing self esteem, employing multiple teaching strategies, integrating the arts, exhibiting an elevated degree of professionalism, maintaining high expectations and applying consistent standards for all children, encouraging active parent guardian participation, and involving the entire school and community in a commitment to excellence in all we do for children. At PS 169, we cultivate children to coexist in the garden of life while displaying their singular characteristics. On Friday, April 12th We will be hosting our Third Annual Health & Fitness Expo! 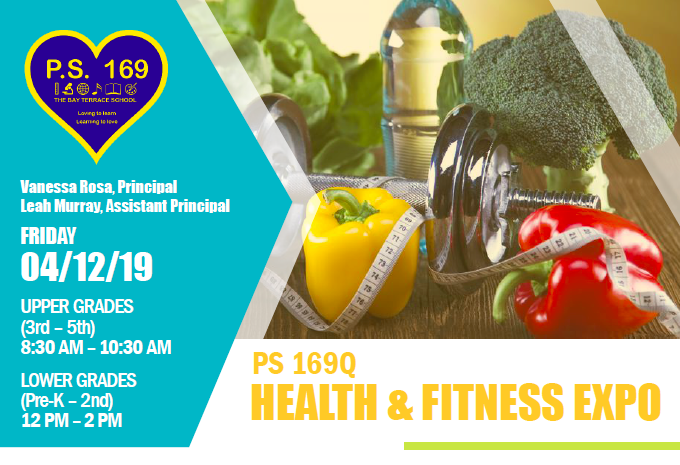 This will be a fun-filled day marked by exercise classes led by some of the best fitness organizations in our community, emotional health and wellness demos including mindfulness meditation and yoga, and a variety of engaging educational stations hosted by top-notch health and wellness professionals across disciplines. All children and families are invited to participate! and their families attending in the afternoon 12:00-2:00PM. All donations can be dropped off in the school yard Friday morning. We also need volunteers to set up in the morning. If you can stay at school after drop-off, your help will be appreciated! We hope to see many of you joining your children for this amazing event! Be Here Everyday! All the Way!!! Going to School Everyday is the First Step to Student Success. Excellent attendance is a crucial requirement for doing well in school--and life! Common sense indicates that a student may be absent for illness, emergencies, or for religious observance, but the goal is for every student to be in school every day. Families are advised to schedule trips and vacations when school is not in sessionto minimize interruption in schoolwork that may impact academic progress. A student who has 90% attendance is missing one month of instruction. A student with less than 90% attendance is considered chronically absent *. Students with poor attendance in Pre-K, Kindergarten, and First Grade are much less likely to read at grade level, and are more likely to drop out of school later in life. We will be offering Dojo Points for classes who have 100% attendance each day.